What a morning! The reason it was such a great morning, is because of what happened on Halloween. 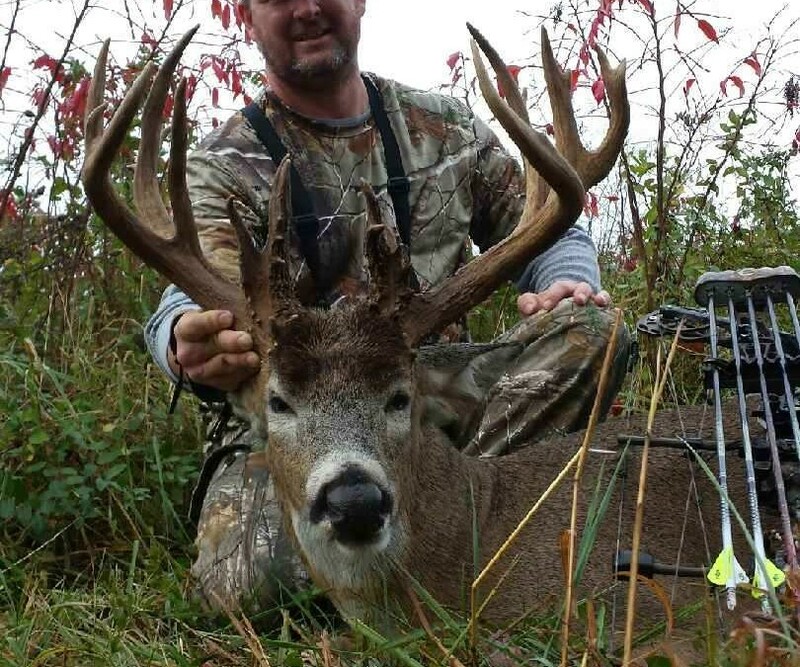 Paul McBride arrowed an absolute giant Saturday afternoon, but didn’t begin the track job until Sunday morning. It was a LONG night, but it was well worth it. 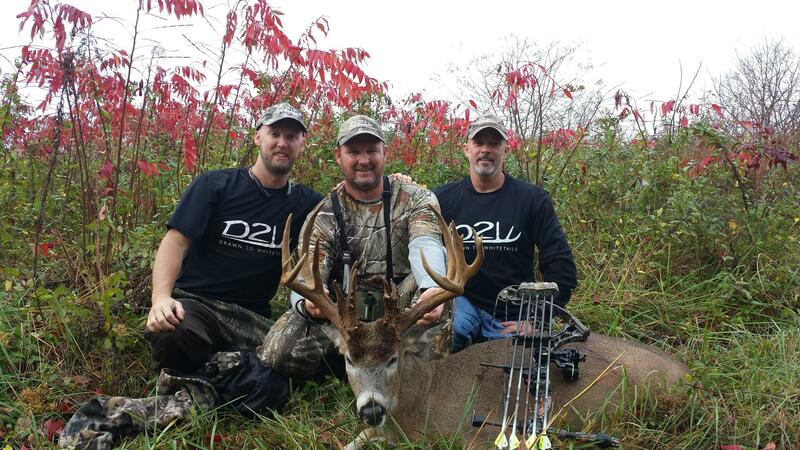 Paul, Blaine, Joel and Benji were able to find this magnificent buck. Congrats! Paul what a stud!! 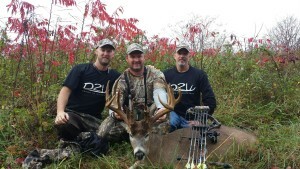 Stay tuned to Drawn to Whitetails to see the hunt in the near future! As far as what we saw on Sunday, November 1st, the morning was slow. A couple of bucks were seen cruising, but overall it was slow. 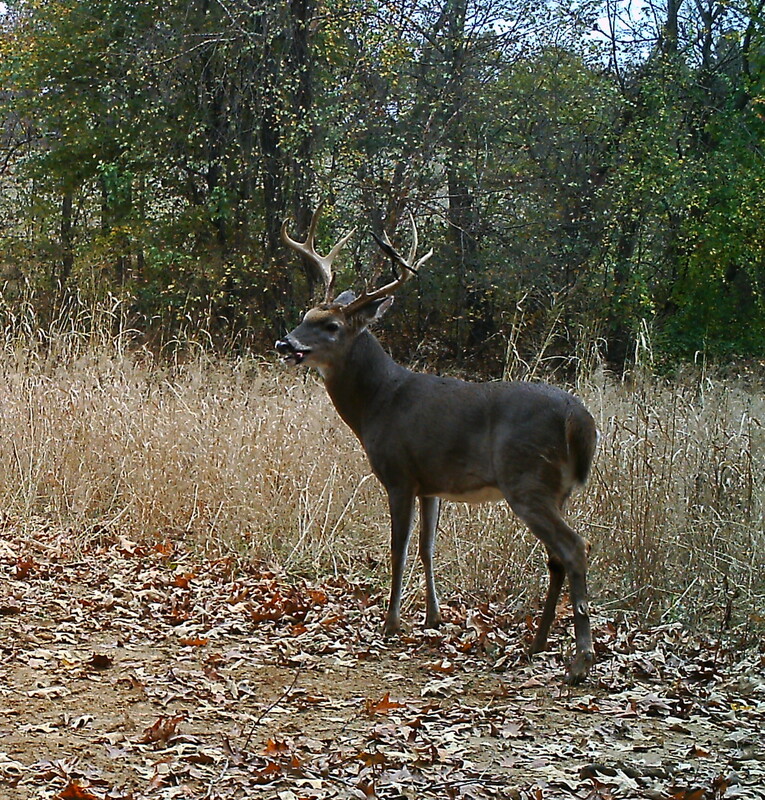 This afternoon two mature bucks were seen. One of the bucks was chasing a doe all over a field and the other was cruising thru the brush checking bedding areas for a hot doe. It is starting to happen! Get in a tree when you can, and don’t let the warm temperatures hold you back. The deer are starting to rut. I really enjoy seeing you guys on these D2W posts and videos.